Create the ULTIMATE 80's Rock show with Music Zirconia's 80's Rock Package! Customize the package by choosing how many bands in the package and which bands you'll need for your event. 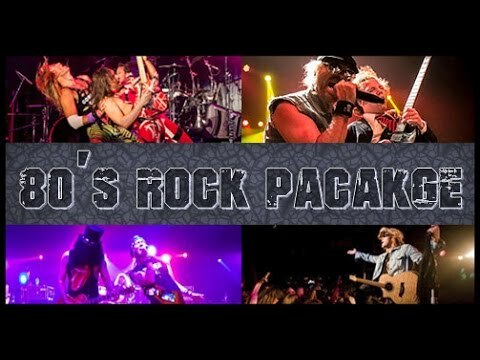 Van Halen, AC/DC, Guns'N'Roses, Bon Jovi, Poison, Aerosmith, Motley Crue, and more! This package is great for festivals and other big events. Don't miss out on this AMAZING multi-band concert!